Synthetic or Natural Thyroid Hormone – What’s the Verdict? Some people need to take hormone replacement either in the short term or for the rest of their lives. 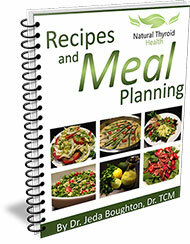 However, if you can, it is better to nourish your thyroid and get it working on its own. Unfortunately, I am one of the patients that will have to take thyroid medication for the rest of my life. I’ve tried both synthetic and natural replacement, and there was no question which one worked better for me. Thyroid hormone replacement is usually prescribed by doctors to be taken for the rest of your life. 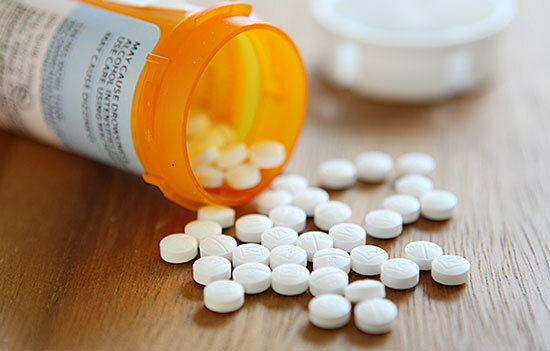 However, some people are able to stop the medication once they strengthen their system. If the cause of your hypothyroidism is inflammation, for example, you might only need to take replacement hormones until you’ve eliminated the inflammation from your system, giving your thyroid a chance to correct itself. Pregnancy causes changes in the level of hormones your thyroid produces. Maintaining your thyroid levels is not only important for your health, but also for the development of your baby. Some women may have to take thyroid medication during pregnancy, but are able to stop after giving birth. If you’ve had your thyroid gland radiated or removed through surgery, you will need thyroid hormones for the rest of your life. Thyroid hormone therapy is the only way to supply your body with a normal level of thyroid hormones to keep your metabolism working. Natural thyroid hormone replacement is made from the desiccated glands of pigs, and is freeze-dried and made into tablets or capsules. These natural products are bioidentical, meaning they are chemically identical to those your body produces, and your body is better able to absorb and use the hormones. Natural thyroid replacements contain the full spectrum of hormones, such as T4, T3, T2, T1, and other minerals that are necessary for your cells to function. Synthetic hormones are made to imitate the way your body should function. They can replace T4 or T3, but are not a full spectrum replacement. Since your body needs more than just T4 and T3, synthetic replacement does not work very well for most people. Because it is a synthetic substance, a lot of women’s bodies can’t convert T4 to the active T3 hormone. You may know that this is the case for you, if you are continually increasing your dosage to try to make it work. Taking synthetic T3, the active hormone, can be helpful for many women. You must be careful, though, not to create a hormone swing from hypoactive to hyperactive thyroid. Most doctors will prescribe a time-released T3 hormone or a low dose to take every 12 hours. If you’re given too large a dose, you may end up with unwanted side effects. Taken properly and at the right dose, desiccated thyroid is a superior replacement medication because it is a naturally occurring substance that gives your body the full spectrum of thyroid hormones and minerals it needs. This medication, along with lifestyle and dietary changes are what worked for me. If you’re allergic to pork, however, you should not take desiccated thyroid.